Big Toe Studio uses classical and contemporary methods of Pilates teaching that result in each group class participant experiencing individualized attention while enjoying the results of a well designed Pilates session.....life changing indeed! 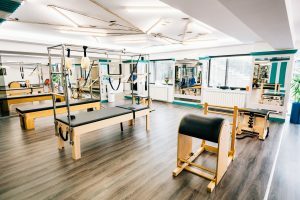 Big Toe Studio uses the very important initial assessment to determine each clients personal goals and then creates a sequences of Pilates exercises that can be modified and enhanced for each session. Our policy is to always make the session "all about you", that is why we allow our Pilates students to be able to schedule at the last moment by simply calling to schedule or using the free scheduling app provided to our members. Big Toe Studio will never cancel a group class that has only one student as we appreciate and respect our students schedule.